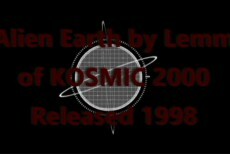 Alien Earth by Lemm is one of my favorite demo scene songs of all time. I’ve been meaning to get it posted on Youtube for years. A few months ago I was watching the sun and shadows through a window, needed to film it and and knew in that moment the music to set it to. So it’s finally done.